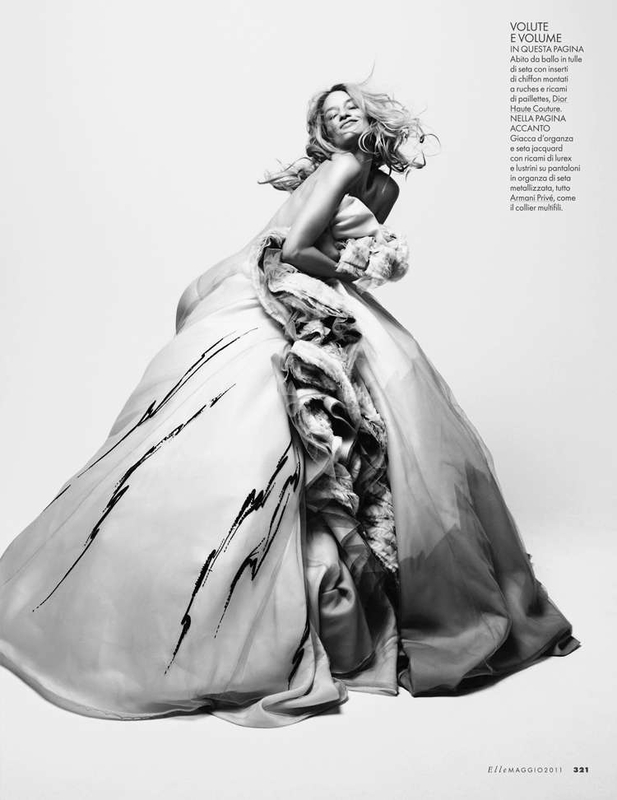 Another GORGEOUS editorial, featured in May's Elle Italia, entitled 'Crazy Couture'. And it definitely did showcase some of the wildest yet beautiful pieces of couture around this season! I especially adore the floral jacket, and would LOVE to have the patience to sewn on all those millions of flowers to create a replica. Alas, I sadly dont. But I can still bask in it's glory. The photos, taken by Mark Pillai, are kept quite simple in concept, to allow what model Linda Vojtova is wearing to truly take centre stage. Can Resort 2012 Really Be Here ALREADY?! ?